Washington Apple Pi: Web Browsers, Plug-Ins, and Extensions - Oh, My! Web Browsers, Plug-Ins, and Extensions - Oh, My! Ten years ago, the most commonly used computer applications were word processors and E-mail. Today that has changed: the most commonly used application -- and in some cases the only application -- used is a Web browser. The Web has become so pervasive that even knowledgeable people sometimes use the term "Internet" and "Web" interchangeably. Apple recently introduced a new version of their Safari Web browser with expanded capabilities. At this month’s meeting, we will investigate some of the latest improvements and the more useful extensions that are becoming available. Other Web browsers - chiefly Firefox and Chrome - have some neat features as well, and we will take a look at these, too. The main presenters will be Larry Kerschberg and Lawrence Charters, with a cameo appearance by Jonathan Bernstein. Come hear and watch as they demonstrate some of the coolest incorporated into the latest Web browsers. Even if you think you know your way around a Web browser, you will learn something new. 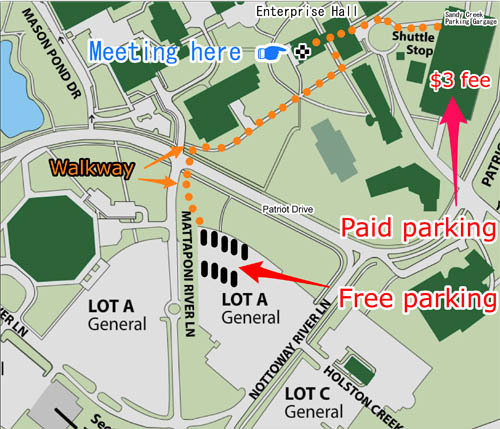 This meeting will be held on the George Mason University campus in Fairfax, VA, Enterprise Hall, Room 178. Check back closer to the meeting date for any updates or changes.